The new Quiz Wiz's are grayish, but mine is black (1993). These keys allow you to enter the question number. The number is appened to what I call "Q", a variable in memory storing the question number.BCD? These keys select an answer, and store it in variable A. By default, A contains the answer "A", stored as 0. Checks if answers[Q] == A, if so, lights up green yes LED, else red no LED. See later sections for info on how the answer is stored. Note that A and Q are not cleared here, but after pressing Enter, 0-9 will overwrite the Q variable. The answer books that come with Quiz Wiz are the only stored form of the question. That is, Quiz Wiz only identifies questions only by number, and has another number, 0-4 (002-112), associated somehow with that question number. It is not entirely clear how answers are stored. If you ever wondered why the answer books are so light, it's because they don't really contain any electronic components at all except wires connecting various lines. Books interface to the Quiz Wiz by a 10-wire (labelled 0-9) single-sided slot. Books have the slot, the unit has a female connection. If you want to make your own book, you'll need a 10-wire male slot connector, like those found on old 5.25" floppy drives (may require trimming). Or you can make your own on a Printed Circuit Board, using an etching kit such as Radio Shack's PC Board Kit, Cat.# 276-1576, like I did. 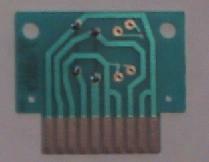 Note that Quiz Wiz's port requires PCB thinkness to be about 0.06"; sand down the board if it doesn't fit. An all-purpose breadboard is useful for making connections, but if you use one remember to use non-stranded wire (or else coat the stranded wire with a thin layer of solder). The exact meaning of the connections are unknown, but it is thought that they are input to some sort of predictable pseudo-random-number- generator, because the books contain no memory. It all must reside in the unit itself, and Tiger probably devised a way to generate 1001 seemingly-random answers by a simple seed. Those are the colors I used on my PCB. G0 should be on the left when the unit is upside-down. The "G" wires are groups. The "K" wires correspond to keys. Key wires should be connected to at least one group wire, or else they will not function. The best way to find out if a key is not functioning is turn on the sound and see if depressing a key makes any noise. Note that there is no key wire for 0, 6, and 8, because they function by default. I'll use a square to specify which key wires are connected to which group. See below for an example. K0, K6, and K8 do not exist and will have a dash in their place. limit the number of carts I need to emulate..
> beginning of the possibilities! and they did match Book 1. I'll have to check the other books. > >just a dumb ROM in there. > suggesting the same thing you were, essentially. > which I'm sure is just a gate array or something. > Nothing so complex as a CPU I imagine. Exactly. I suspect Tiger did this rather than a ROM due to costs. > gate array doing all the "system logic" and the PRNG. since it's an old device? I'll see if I contact them. > >reverse-engineering. But I disgress. > doing, you could build your own gate array "CPU". > >there's a huge breakthough. > yeah, it's a long shot. If that's the case. First assume you're rearranging 0 0 0 1 1 2 2.
are 3 * 210 = 630 such seven-digit numbers. The standard book that comes with Quiz Wiz. Keys 1-3 belong to group 0, 4-6 excluding 6 belong to 1, and 7-9 excluding 8 belong to 2. Dashes exist in spaces 6 and 8 because they have no key wires. 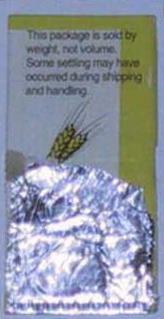 Ewig Ind Co Ltd (here too) is a HongKong-based company, but that's all I could find out about them. "Ewig" appears to be German for "eternally". Also, according to irasia.com, Ewig was acquired by Unidux (in Malaysia, Singapore, Australia). But this is all I could find out about their products. Thanks to Russ Perry Jr. for providing this schematic. Thanks again to Russ Perry Jr. for this and all the remaining schematic. Thanks to Russ Perry Jr. for this schematic. A strange thing occured. These answers are those of Book 1! It would be expected that this is caused if typing in the question reads the correct answer, but the 0-6-8-consisting answers do in fact match. There are several possible explainations for this: Quiz Wiz could save the book's data and use it when a book is removed, the book does not really do anything, or this is the default group connections. 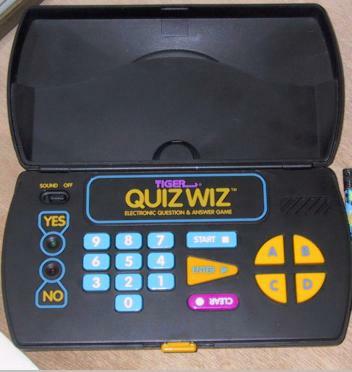 I'll find out by using Quiz Wiz with no book, after the batteries are reinserted. They do match, even with no book and reinserted batteries. Will this work with other books, like my custom one? Results: If a book is removed, Quiz Wiz's answers default to that of Book 1. Maybe a built-in default. Further observations: The answers can change when the book's connection changes, on the fly. Maybe book is used as direct input to a PRNG. I can't see any distinct pattern. New goal is to find out how 14-19 became all A for a second; create a book where every question is A, or any distinct pattern for that matter. This could be used to make a custom answer booklet. In fact, I did such a thing. qwt.pl uses an All-Connected book to generate questions on trivia from funtrivia.com. You'll also need trivia.db; funtrivia.com's public domain trivia database. Answers come in groups of four, most of the time. Begins out with CCCC, BBBB, but following questions keep repeating answers AAAA, AAAA, and BB. Similar to answers Book 1; differences are bolded. Notice how only D, C and sometimes B differ from the original. #24 --------- Where in The World?